While some restaurants are new only to us, and some are simply opening new locations or moved to a new spot, here are some fresh spots that have opened since the new year that you should definitely check out. The Beignet Stand, opened by two beignet lovers with a dream this February, makes these delicious fried breads the star of its menu. For those of you who don’t know what a beignet is, let us explain: heaven. Now go try one. A new cocktail lounge from Benjamin Krick, Jet-setter elevates your drinking and hospitality experiences in downtown as of April. The space, previously home to literary-themed bar The Last Word, has been transformed into a stylish mid-century sky lounge, filled with international spirits, flavors and elegant decor. 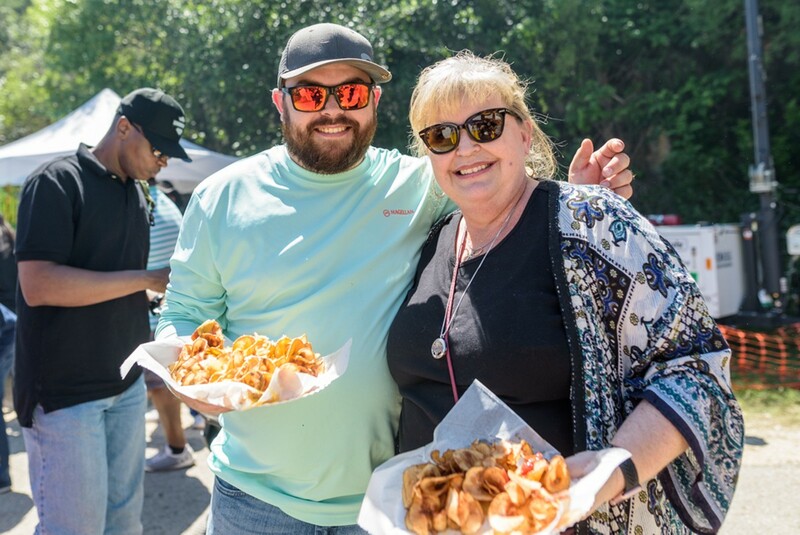 Saint Queenies, a food truck, makes for a new way for San Antonians to get their Cajun fare fix. Or rather, make that Cajun-themed food with a Texas twist. Yes please! Be sure to give the truck a follow on Facebook as it usually hops between StreetFare SA and The Point Park. Y’all ain’t know how to act right, lining up outside of IKEA for hours before they opened in February. Yeah, the cafe is good and stuff, but jeez y’all. Go ahead and wait in line for hours for meatballs if y’all wish. 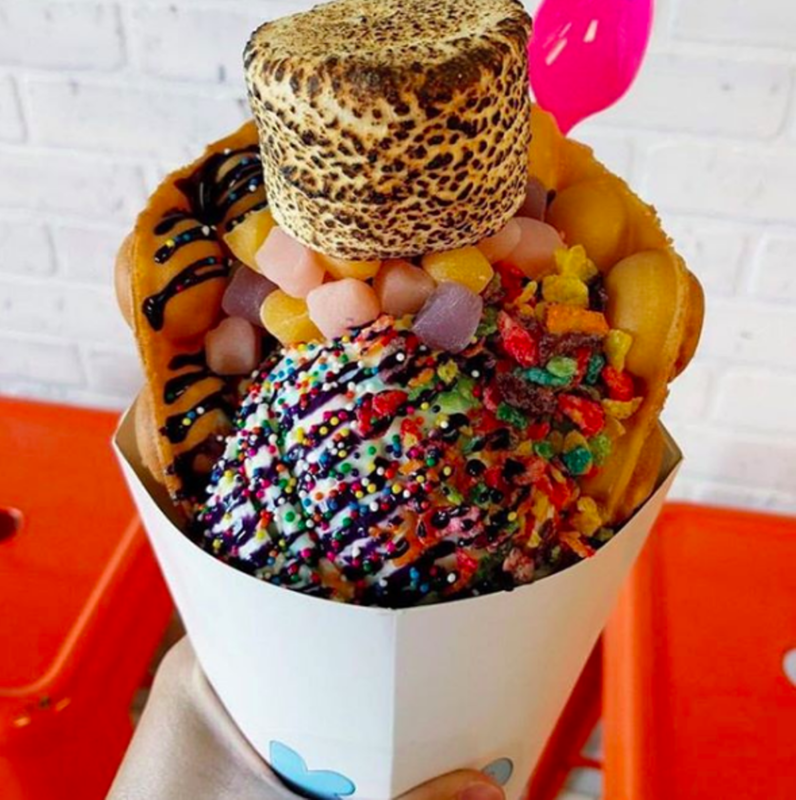 A new San Antonio sweet shop inspired by the colorful, nostalgia-inducing breakfast staple, Cereal Killer Sweets in flavors like Unicorn Swirl, Berry Me Alive, Nutella Surprise, Peanut Butter Cup and S'mores. Can you say yum?! Since March, Chad Carey has come through for wine snobs that frequent the St. Mary’s Strip. The space is dedicated to enjoying wine — single glasses and shared bottles — at an affordable price. There's 32 stools, enough space for five people to gather around the bar, a vinyl record player in the corner and several walls filled with great wines that you won't find at Central Market. Labeled as “fresh comfort food” and located in trendy Southtown as of February, The Good Kind serves both fresh favorites like salads and sandwiches and classic comfort foods like mac ‘n’ cheese. You can also find breakfast dishes as well as brunch favorites at this eatery. From Jeff and Jenn White comes the long-awaited Eastside Kitchenette – which has been pleasing us since its January opening. Found in the East Side (obviously), this spot has it all – service for lunch, dinner and even late night eats as well as a brunch menu and happy hour specials. Whatever entices you, trust us when we say this spot is more than promising. Though technically operating since late December, this South Side beer garden celebrated its grand opening in mid-January. Named after the nearby Espada Aqueduct, this addition is just another example of the growth that’s happening in the food and drink scene on the South Side. Since March, San Antonians have been able to get a taste of Persia at Saffron. Serving up Iranian fare, this Northwest side restaurant has all the classics like shish kebab, hummus and baba ghanoush as well as more authentic dishes like kashke bademjan. What used to be a vegan-friendly pop-up bakeshop is now a full-fledged vegan bakery as of February. Which, thank gosh, because anyone who has special dietary needs or preferences or food allergies knows how challenging it can be to find tasty foods that are friendly to their diet. Known for one tasty torta ahogado (plus plenty more), Ro-Ho celebrated a relocation from its home tucked inside the Sanitary Tortilla Company to a new spot near the airport. Patrons can enjoy outdoor seating and the same tasty menu. Nestled in the UTSA area, this ramen spot has been a hit with students since its January opening. For everyone else, stop by for ramen (duh) and small bites that will make your visit complete to this fresh spot. Get this: the front room serves up craft cocktails and craft brews. Great, right? But behind a swiveling bookcase, you get a black and gold nightclub, replete with over-the-top eye candy like 1,000 gold skulls set into its back wall and a circular chandelier comprised of 1,800 LED lights. Whichever tickles your fancy, this spot – which opened in January – is worth checking out. Can you say fast-casual taqueria opening in the Medical Center? We can, and we’re cheering for it since its February opening. And if you’re in a hurry, they’ll be adding a drive-thru soon as well, so you can get your new favorite burritos and tacos on the go. The beers are "culturally rich small batch." Some of the brews are straightforward innovations, like a papaya hefeweizen. Oh, and there’s a brew dedicated to Selena – the Concha La Flor Stout. You have to check out this brewery, which opened in January. Chocollazo’s Hemisfair location is all fun and games with a candy room and a chocolate room. The candy room, called Sugar Sugar, features bulk assorted candy such as sour candy, Mexican candy from Alamo Candy Company, as well as nostalgic and hard-to-find items. Brought to you by the sister of the late Chris Madrid, Diana’s Burgers – which opened just after the new year – brings everything you love about Chris Madrid’s, the burger spot, and put it under a roof on the city’s West Side. Yes, these burgers as cheesy as heck. The Cajun Coffee Shack had a soft opening on January 23, but that doesn’t mean we’re not still excited about it this month. Their drink options feature flavorful and sweet coffee drinks, Italian and cream sodas, and an ever-growing menu of desserts, pastries, and drink add-ins. While not completely new, longtime Italian eatery Aldo’s moved from its location on Wurzbach Road after a long-hyped change of venue. The restaurant opened up its doors at its new location in the Dominion in January. As the newest restaurant from the Culinary Institute of America-San Antonio, SAVOR lets students gain hands-on experience and allows local and visiting diners to enjoy top-notch meals. Since the January 22 opening, SAVOR has a globally-inspired menu that lets patrons build their own three- or four-course meal. San Poke is SO. GOOD. There’s not a whole lot else that needs to be said, really, as long as you’re a sushirrito or poke lover. If you’re not into raw fish, don’t worry. They’ve got cooked eel and pulled pork (also, how puro is that?) as alternatives to raw fish. If you don’t like poke in general, you can still go for the yummy bubble tea. In short, we’re telling you to try this new spot that opened this February. 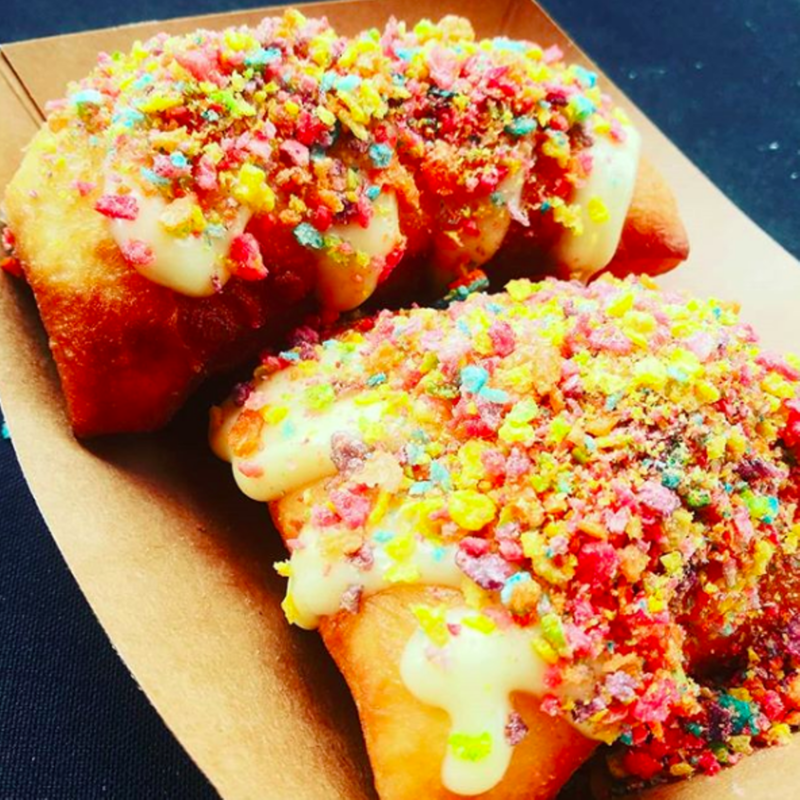 After a delay, the Austin import brough sweet-as-heck donuts to the River Walk this March. Whether you opt for the bedazzled Selena donut or go for another decked out treat, your sweet tooth will be satisfied. Hawx Burger Bar isn’t terribly new. In fact, they’re pretty well-known for having great burgers. 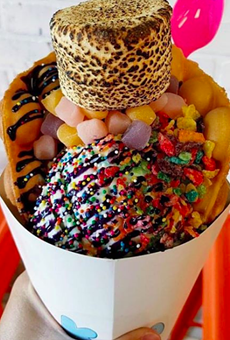 This location that opened in February on Thousand Oaks is new, and you can try all of the all-time favorites that you love at the other location. Monte Vista got a new restaurant this winter – Carlucci’s. With notable Italian spots already in the neighborhood, Carlucci’s offers up both hot and cold sandwiches, salads and pasta dishes. The Growler Exchange reopened its doors in January, moving into a former Bahama Buck’s. So stop by to see what’s new (hint: it’s an expanded tap wall). 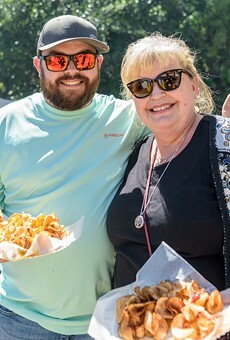 Brought to us by respected husband-and-wife team, chefs Damien Watel and Chef Lisa Astorga Watel, the long-awaited Alamo Heights bistro brings French bites and bubbly. If you were a fan of Bistro Vatel, definitely stop by to enjoy the Watels’ latest venture. We know what you’re thinking – hey! Snooze isn’t *that* new, and it definitely didn’t just open. We know, but the newest San Antonio location did in February. Which is good, because as anyone who has tried the other Snooze locations knows, they’re really popular. We need more! What can we say? Camila’s opened its second location this winter with classic Mexican restaurant finds like tacos, empanadas, flautas, burritos and more. Open for breakfast and lunch, you can stop by for early morning tacos and quick-fix lunch specials. Opened inside the former Joe’s Crab Shack at the Quarry, the chain’s first SA location means we can get our drink on inside this Irish pub. In case you weren’t sure about the heritage here, the new green paint job should set you straight. Enjoy Irish bites and more importantly, Irish beer here. The Hernandez family, frustrated by the lack of local molinas, opened Sarita's Barbacoa in March to bring those classic dishes — tamales, pan dulce, menudo and barbacoa sold by the pound — to North Side San Antonio, one to-go order at a time. Coco Bongo has breakfast tacos to go starting at 6 a.m., which is great because the location makes is great for getting some while you’re sitting in traffic on 1604/Stone Oak. We highly recommend stopping to eat a delicious taco to prevent you from wanting to bang your head on the steering wheel. Hearthstone closed its location at the Forum and this month opened inside the former Crumpets Restaurant & Bakery. Owner Jason VandeBerg saw the move as an opportunity to expand the Hearthstone brand while keeping the space of the former longtime restaurant alive. Opened in the building that used to house the classic Olmos Pharmacy as of February, Volare Pizza is another San Antonio tradition. Their other location opened in the early ‘70s, making them one of the first family-owned pizzerias in the Alamo City. With this addition to the family in a location so iconic to San Antonio’s past, it’s gotta be good. Lala’s Gorditas — a casual, delicious Tex-Mex restaurant developed by chef Steven Pizzini – made a splash on the city’s South Side this March with housemade gorditas, guacamole and bean cups and even dessert flan. After teasing San Antonians for a little more than two years, Goodfire BBQ finally opened its doors this January. Brought to you by the folks behind Chacho’s (plus Chacho’s and Chalucci’s and Chacho’s Chicken), you can expect all the barbecue classics with a Chacho’s twist. 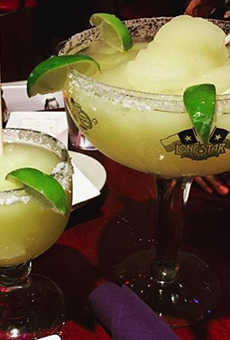 And yes, there’s frozen margaritas. Photo via Yelp / Feli C.
Ruben’s Backyard had a soft opening on January 29 in the building that used to be MoMack’s Malts and Burgers. Ruben’s Backyard, however, is a cleaner and more grown-up version of that while still keeping the play area for the kids and featuring a larger patio than before. Since opening this winter, Medina River Coffee has found loyal customers who visit the rustic-style shop for its house espresso bar or a cup of coffee, roasted in-house and sourced from Colombia, Ethiopia, Guatemala and Brazil.